Lepanthes tsubotae Luer & R. Escobar 1993. A tiny Lepanthes species. 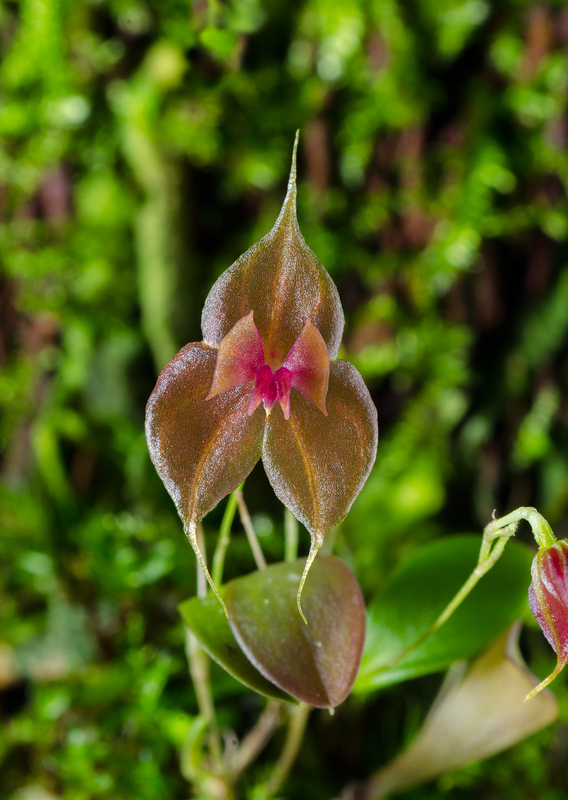 Grows in Colombia at around 2000 meters. The plant is very small but flowers are big. Leafts about 1 cm in size. Flowers almost 1 cm. ← Lepanthes sp – Maybe Lepanthes terpsichore…OR not! A beatufil orchid. How do you grow it ? I grow this orchid in my vivaria. I grow the plants on Xaxim with som tiny bits of moss. This species grow in a very humid place in my vivaria. In winter min temp +10°C and max temp +19°C. Hope I have awnsered your question.